Trader On Chart is a Position Size Calculator and MT4 Trade Panel that help you trade easily from the chart. 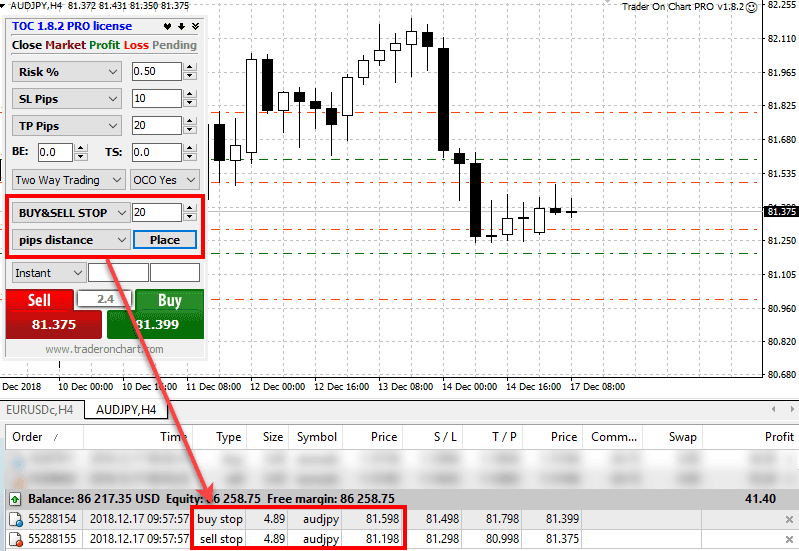 Once you preset the settings, you can open a trade or place a pending order in one click. 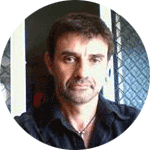 Ready to Improve Your Forex Trading? Trader On Chart allows you to create straddle pending orders. It means it can place BUY STOP and SELL STOP automatically with one click. 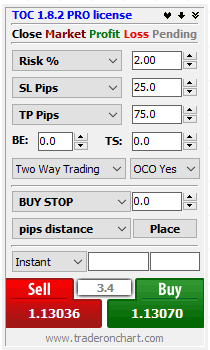 Just set the desired distance in pips together with other order details and the TOC will do the rest. Stradle pending orders are prevalent among breakout traders and news traders. 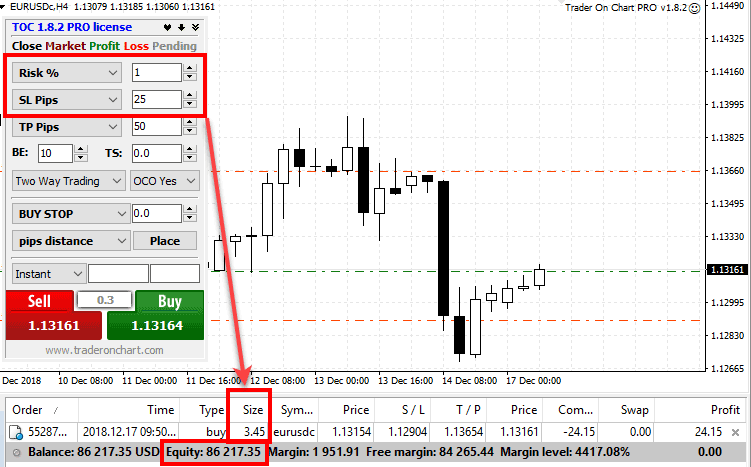 With the Trader On Chart, you can apply Smart Break Even to your trades which helps you cover the expenses of commissions and swaps automatically. 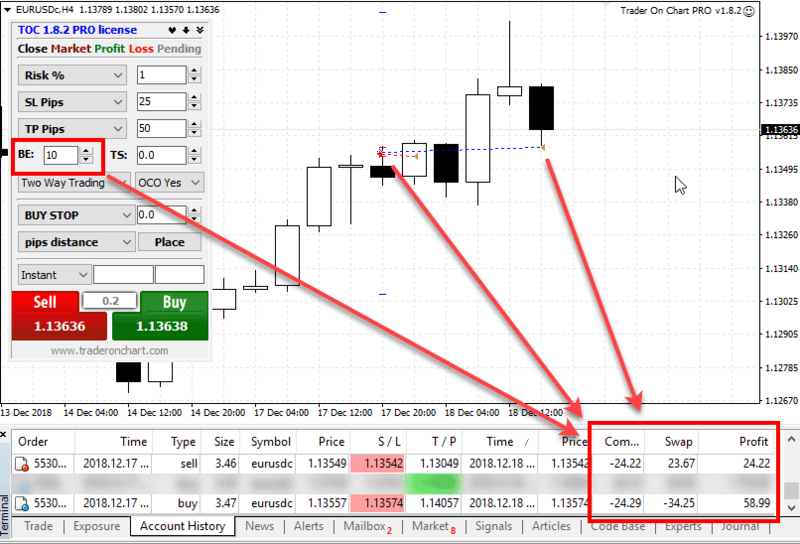 Regular break even is not enough to cover the expenses of a trade if you decide to close it at the open price. It might still be a loser because of the broker commissions and negative swap fees. Smart traders use Smart Break Even because it will set the stop-loss at the exact price level so that if the market comes back at you to close the trade, it will bank some profits just enough to cover any expenses. 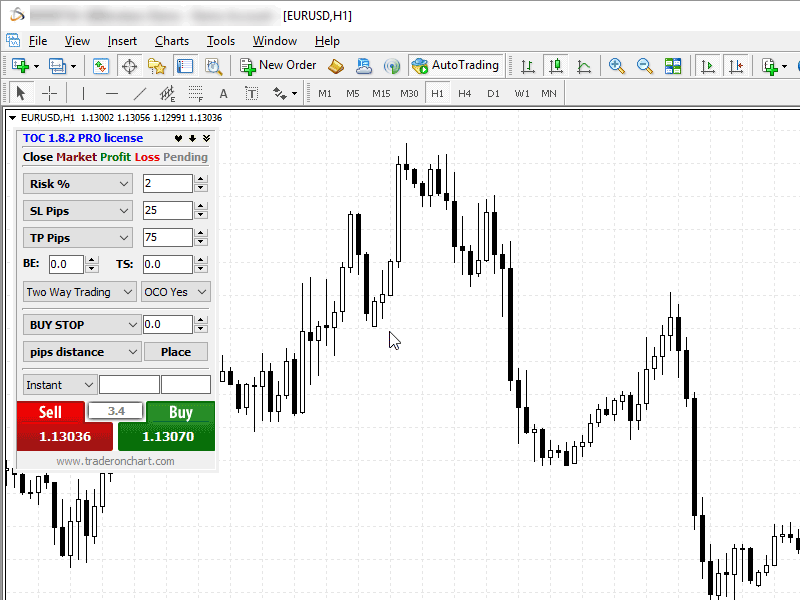 This 3-minute video explains how to use Forex lot size calculator on MT4 to automatically set a proper lot size to risk 2% per trade in just 1-click.